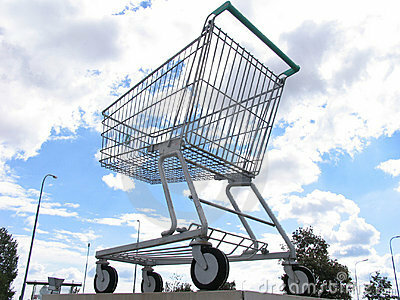 A giant shopping cart in front of a shopping center. there are light chains along the outer lines of the cart and around the wheels. must look great when illuminated at night. could be a nice symbol for an online shop.